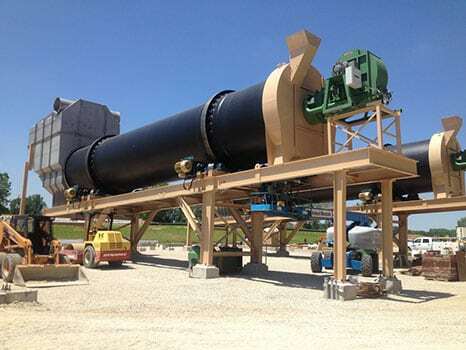 The Louisville Rotary Direct Heat Dryer provides a cost-effective, proven method of drying a variety of both organic and inorganic materials. Inlet gas temperature to the dryer can be optimized to suit the heat tolerance of the feedstock to provide maximum efficiency. 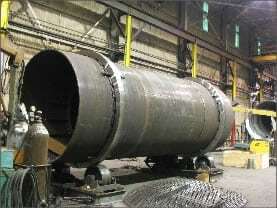 The direct heat dryer utilizes hot gas as the primary transfer of thermal energy. 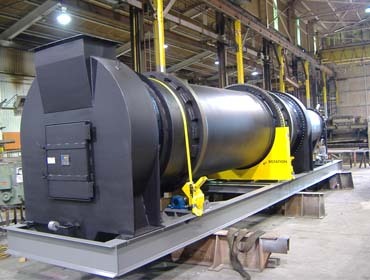 The dryer operates by bringing heated gas into the rotating drum. 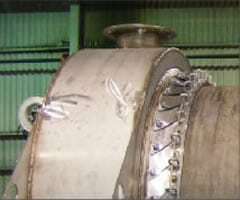 The rotation of the drum picks up the material and showers it into the hot gas stream.